A young woman named Mary was engaged to Joseph from the house of David but they had not yet come together in marriage. Joseph discovered that Mary was pregnant. According to Jewish law he had the right to have her stoned or he could withdraw from the engagement and quietly put her away. Joseph was leaning toward this option because he did not want Mary to be publicly humiliated. As he struggled with these issues in his sleep God gave him a dream. 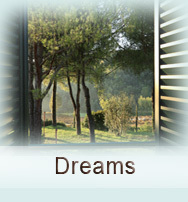 This dream not only solves Joseph’s dilemma but reveals that he and Mary are to be the parents of the Messiah of Israel. Additionally, instruction is given to name the baby “Jesus.” The angel calls Joseph “son of David” and this is significant because the Messiah was to come from the house and lineage of King David. Mary is also from the house of David. Joseph can be confident about the information from the angel when the baby is born a boy just as the angel predicted. Joseph faced difficult events. From his personal vantage point, he could not know or see God’s hand and the fact that Mary’s pregnancy was a good thing – not a shameful reversal of fortune for himself. We have to admire Joseph’s humble heart of integrity. His character was revealed in how he was willing to handle the situation in the natural. God had a better plan. Joseph did not act rashly or immaturely and he is a good example for any of us when we face adversity in our own lives.